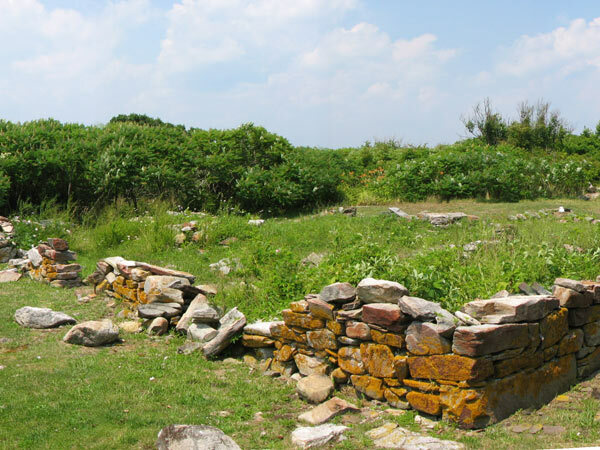 Celia Laighton Thaxter was a notable 19th-century writer who summered on Appledore Island in the Isles of Shoals, a group of nine islands six miles off the coast of Maine and New Hampshire. 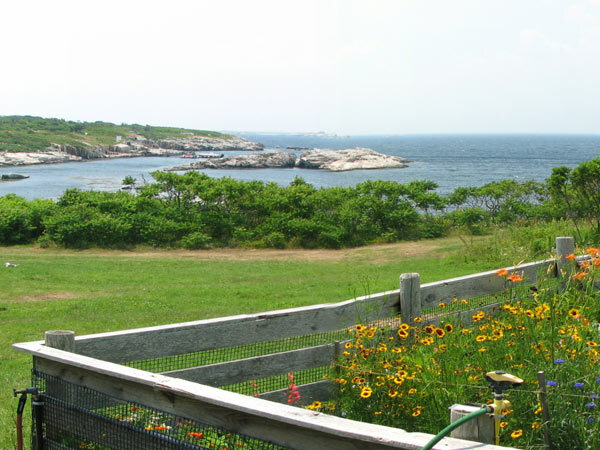 In 1848 her family opened Appledore House, one of New England’s earliest resort hotels. Thaxter’s friends, including Nathaniel Hawthorne and Childe Hassam, were significant artists and writers who vacationed at Appledore House and gave the island its reputation as an art colony. 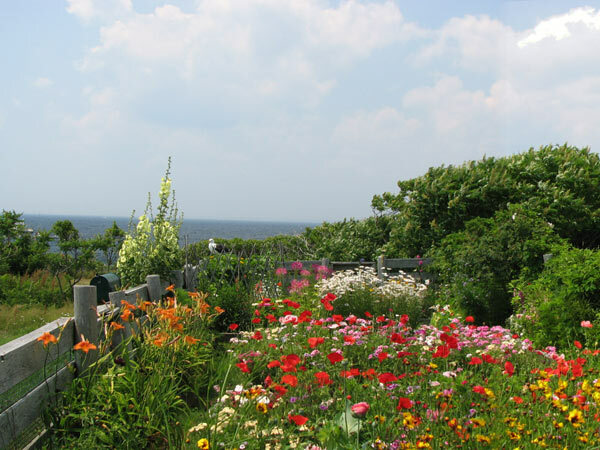 In 1858 Celia and Levi Thaxter acquired a summer cottage where she created a 15-foot by 50-foot cutting garden of seasonal flowers for use in the hotel and the cottage. Planting in raised beds, she arranged plants by height and planted vines to shade the porch. The garden was immortalized in 1894, the year of Thaxter’s death, in her widely read book An Island Garden, which was illustrated by Childe Hassam. In 1914 Appledore House and the cottage burned. 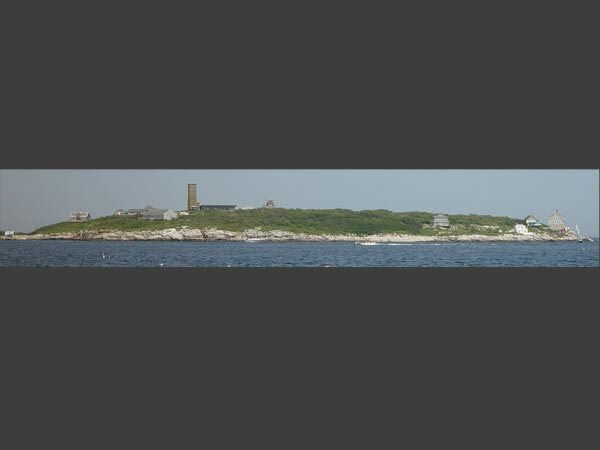 Since 1966, the Shoals Marine Laboratory has occupied the 95-acre island, operated by Cornell University and the University of New Hampshire for summer marine biology programs. In 1977 Dr. John Kingsbury reconstructed Thaxter’s garden based on her 1893 plan, using the same wide range of annuals and vines that she had planted. Since then, about 1,000 heirloom plants are grown to maturity each year in university greenhouses and planted to recreate the garden in bloom. 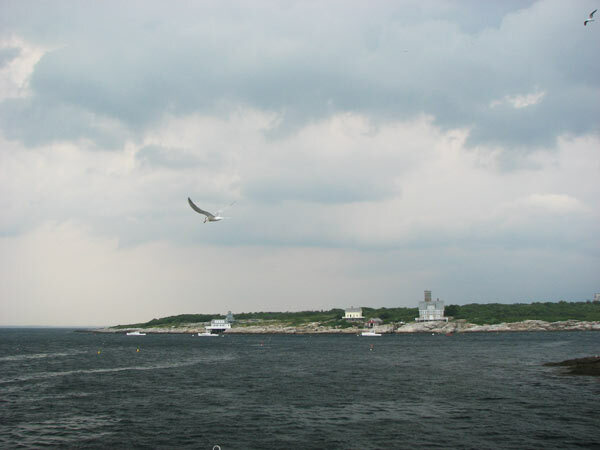 The Isles of Shoals were listed in the National Register of Historic Places in 1980.